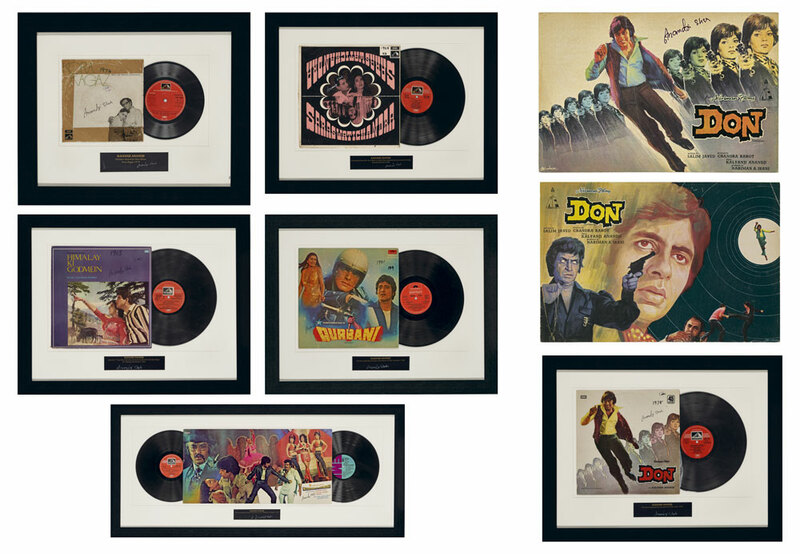 A set of 6 movie LP Records signed by Anandji Virji Shah on the record covers and a booklet of the film ‘Don’ comprising of the film’s lyrics and synopsis. 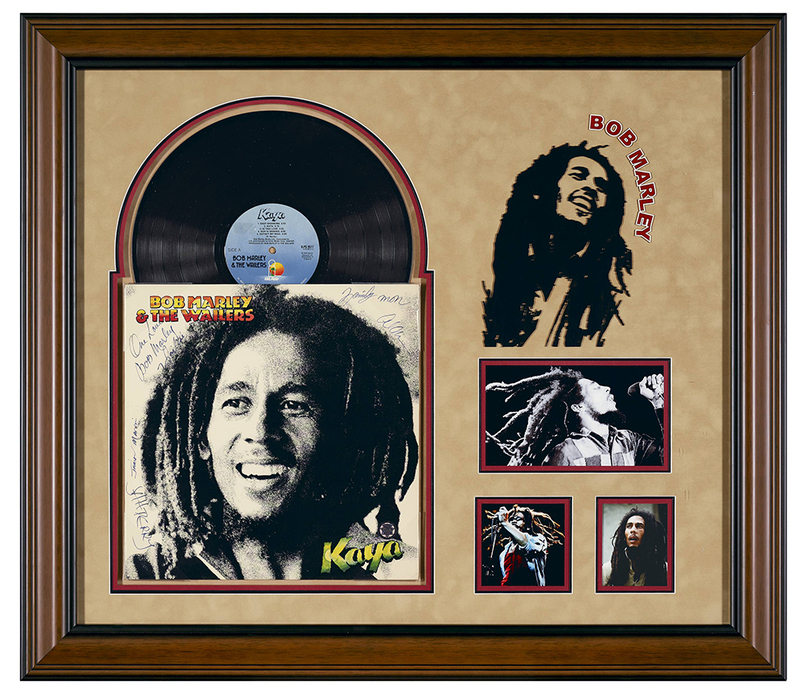 Lot description: Signature by Bob Marley, Junior Marvin, Lee Perry, Alan Anderson and Aston Family Mon Barrett on a ‘Kaya’ LP Record and 3 photographs in a collage format. 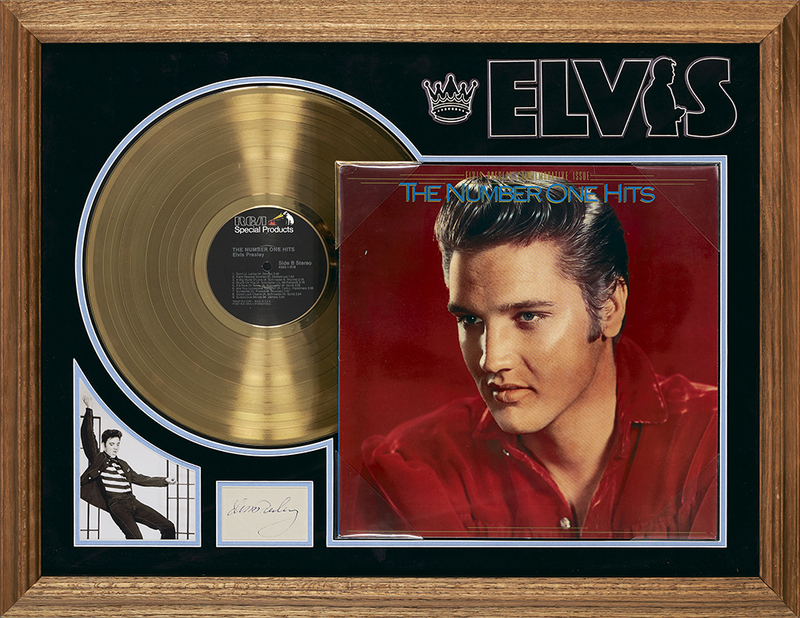 Signature specimen by Elvis Presley on a cut paper card, a photograph and ‘The Number One Hits’ LP Record. 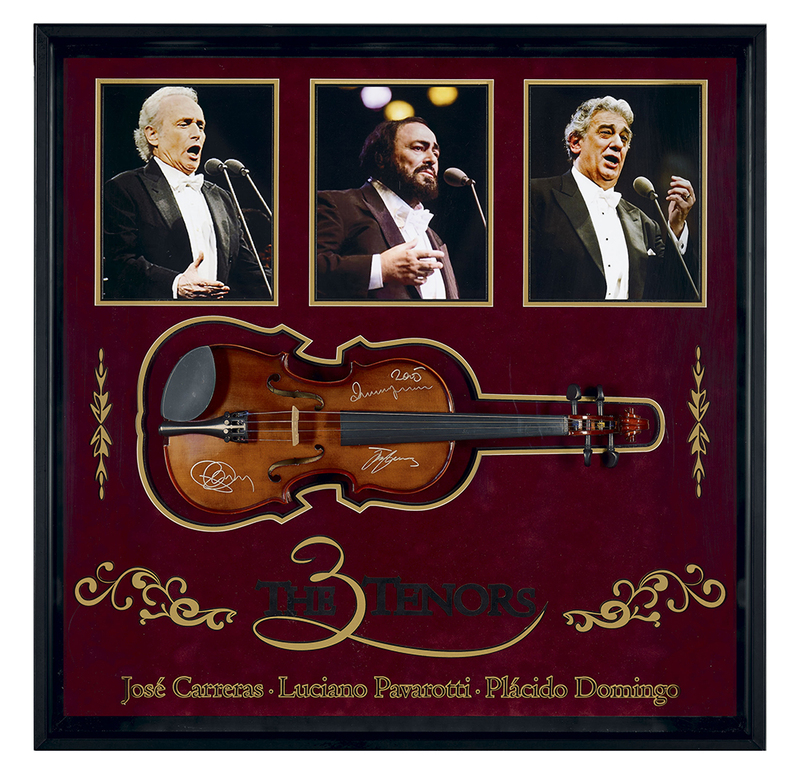 Original signature by José Carreras, Luciano Pavarotti and Plácido Domingo and 3 photographs in a collage format. 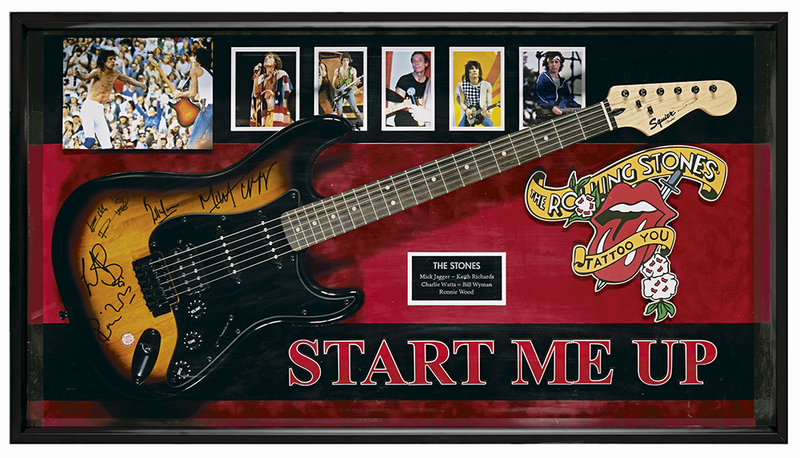 Signature by Mick Jagger, Keith Richards, Bill Wyman, Charlie Watts, and Ronnie Wood on a Squier Fender electric guitar and 6 photographs in a collage format. The Rolling Stones, guitarist is consider Mick Jagger is considered to be on the greatest All time Rock & Roll guitarist. 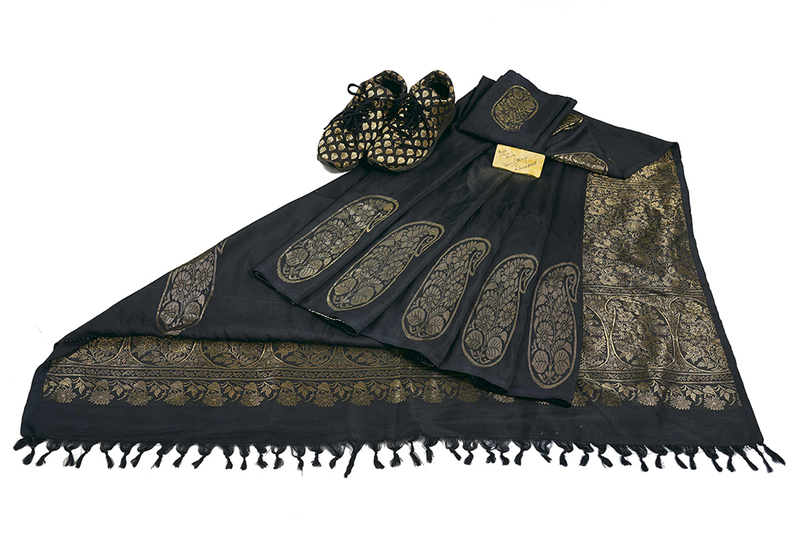 Usha Uthup Kanchipuram Silk Saree & Customized Shoes accompanied with a signed metal placard. This lot will be cased and presented upon delivery. Signature by Usha Uthup on a Shure (SM58) Microphone from her studio. 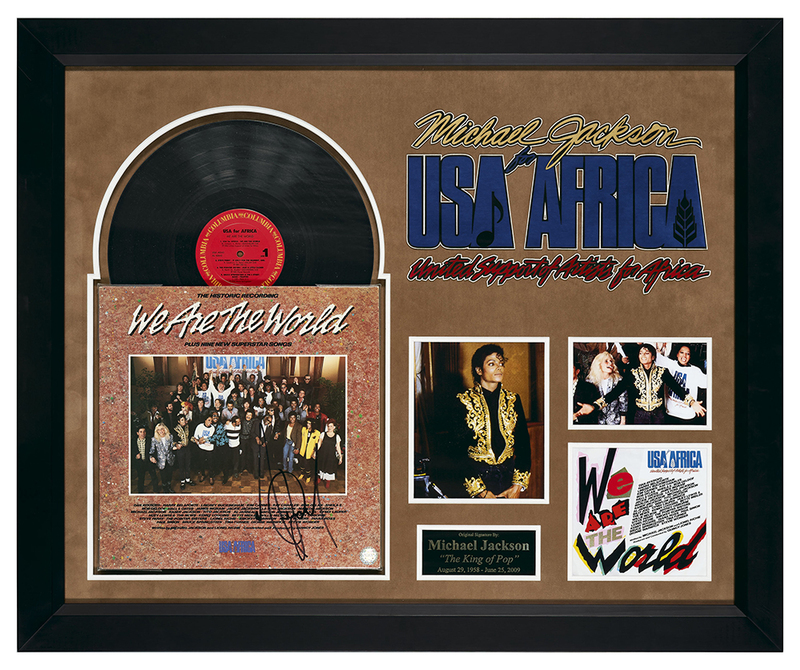 Signature by Michael Jackson on a ‘We Are The World’ LP Record. ‘We Are The World’ CD cover and 2 photographs (unsigned). 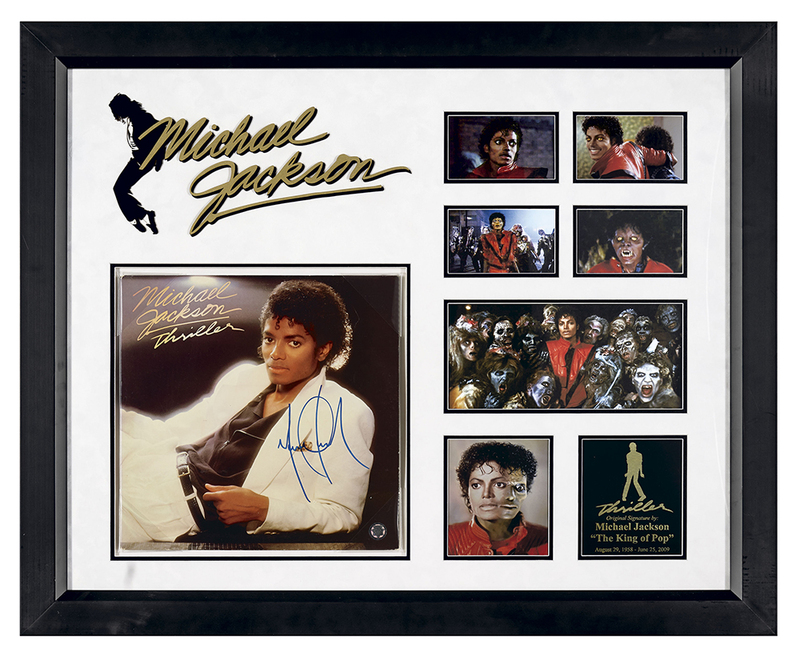 Signature by Michael Jackson on a ‘Thriller’ LP Record. 6 Thriller music video stills in a collage format (unsigned). 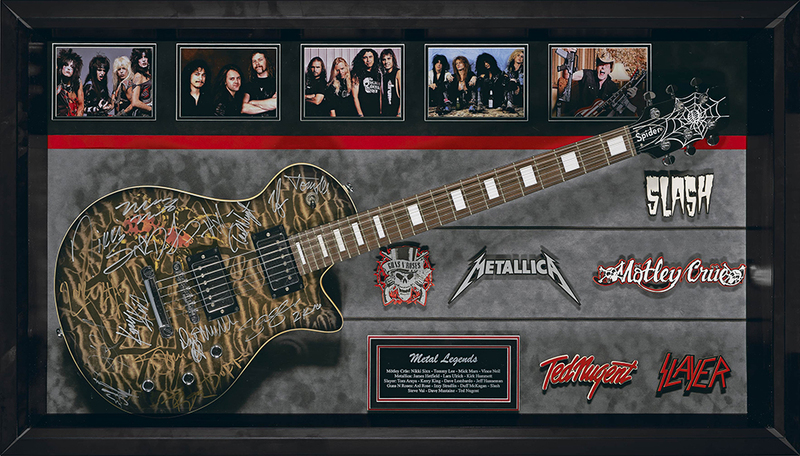 Signed Spider electric guitar.5 photographs in a collage format (unsigned). 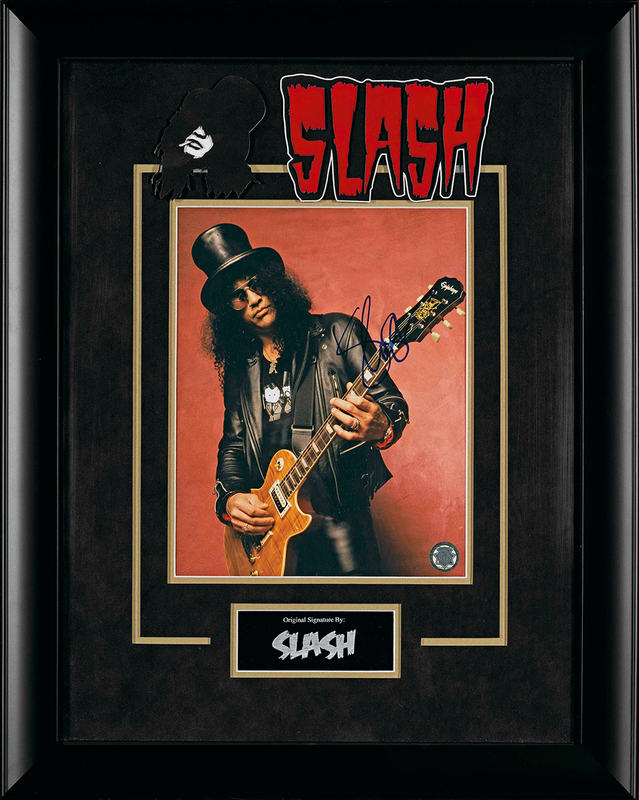 Signature by Slash on a photograph with him posing with a guitar. 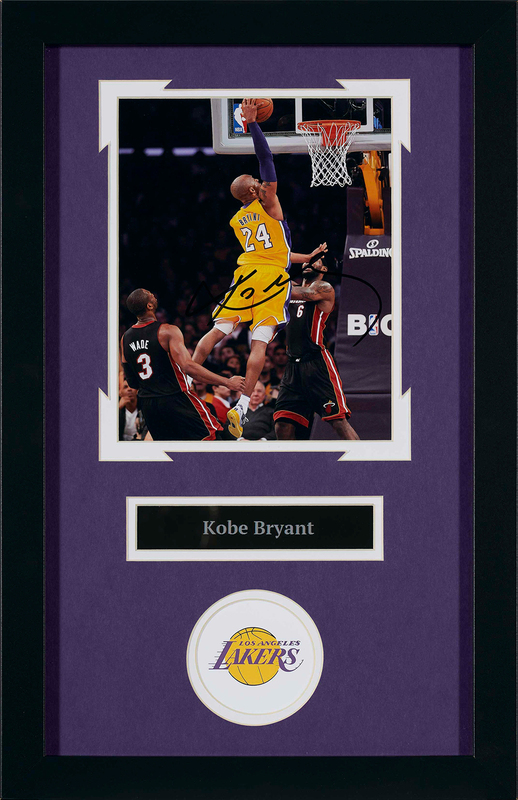 Signature by Kobe Bryant on a photograph captured while he is mid air slam dunking. 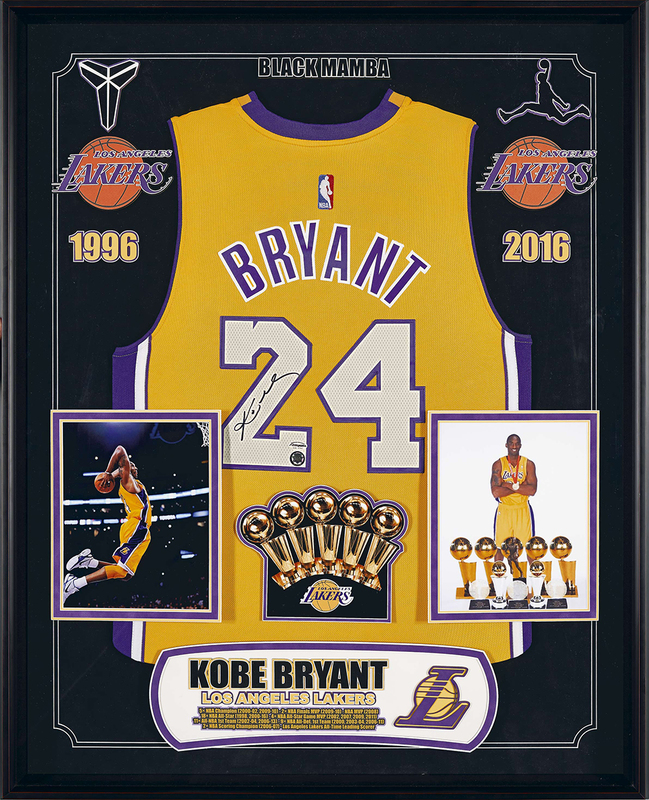 Signature by Kobe Bryant on a Los Angeles Lakers Jersey No. 24. 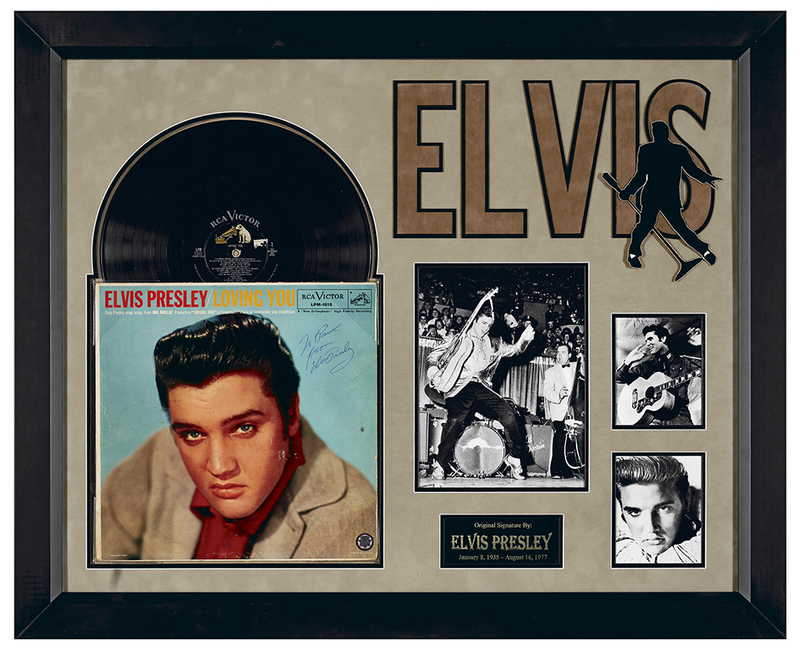 2 photographs (unsigned). 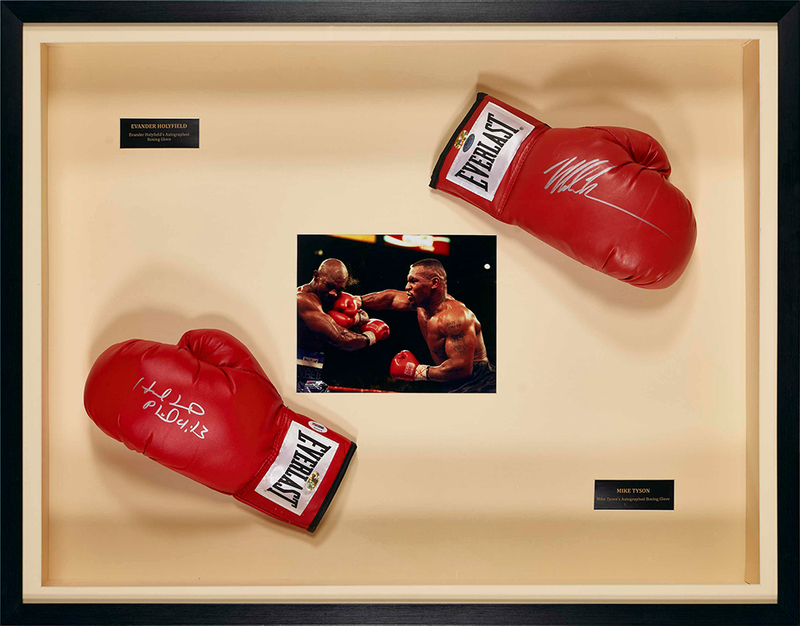 Signature by Mike Tyson & Evander Holyfield both signed and presented encased. Photograph (unsigned). 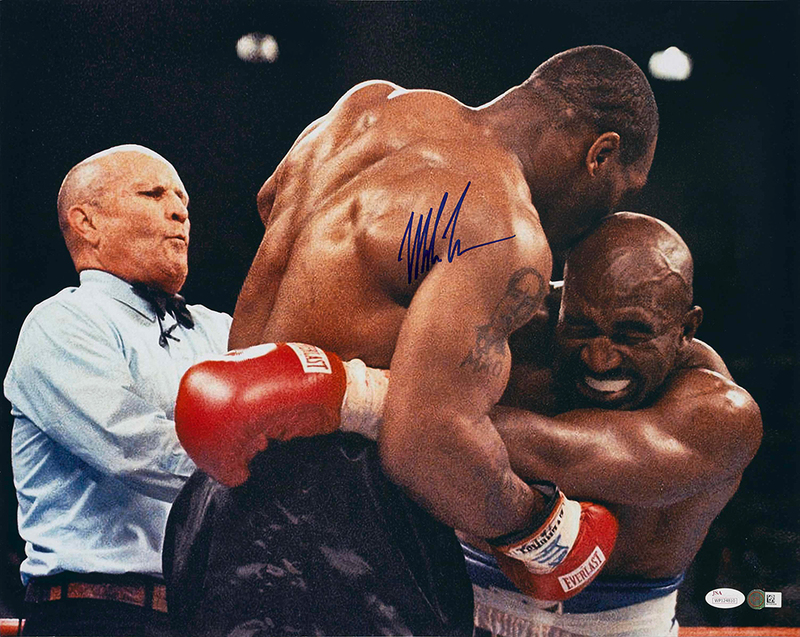 Signature by Mike Tyson on a poster composed from a picture taken while he was competing with Evander Holyfield. Signature by Sir Vivian Richards on a cricket bat. This lot will be encased and presented upon delivery. Signature by Virat Kohli on a miniature Cricket bat.This lot will be encased and presented upon delivery. 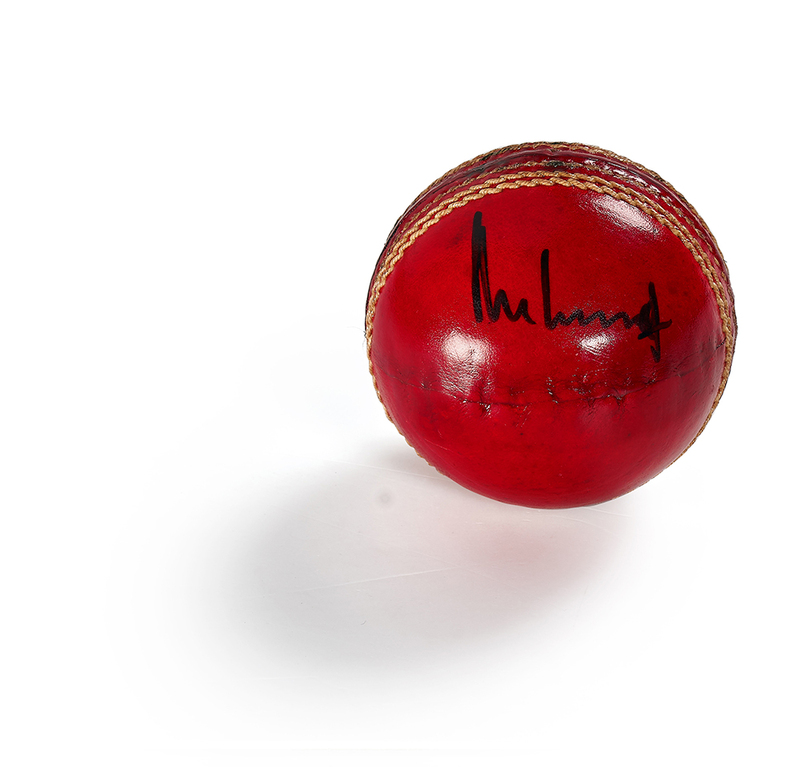 Signature by Muttiah Muralitharan on a red cricket ball which specifically used to play Test Cricket.This lot will be encased and presented upon delivery.